Use the form below to contact accommodation Villa Melissa Bali directly. All rates are quoted in United States Dollars (US$) and subject to 15% tax and service charge. A nightly rental rate is per villa , max 10 persons. 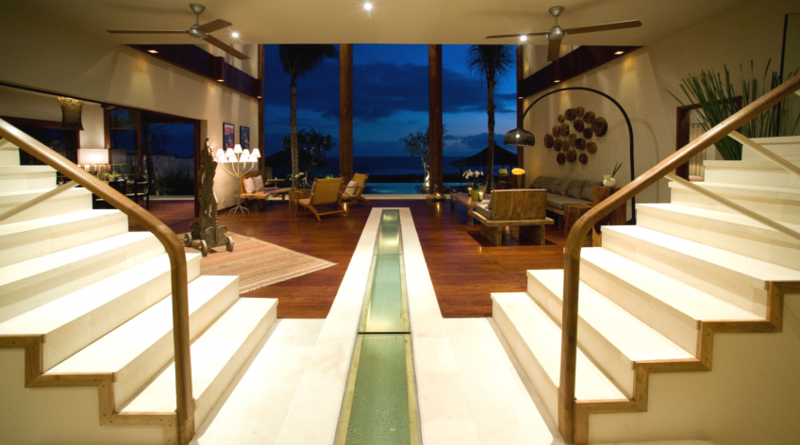 Villa Melissa is a five bedroom absolute beachfront luxury villa with stunning views of the ocean. You can’t get closer to the beach than Villa Melissa. Your daily mornings at the villa will be spent watching professional surfers riding on the big waves or simply strolling on the black sands at dusk watching the local fishermen cast their nets. The beach is exceptionally clean and rarely used by tourists. The entire estate is covered by an unlimited Wi-Fi satellite broadband system which is yours to enjoy while you are our guest. 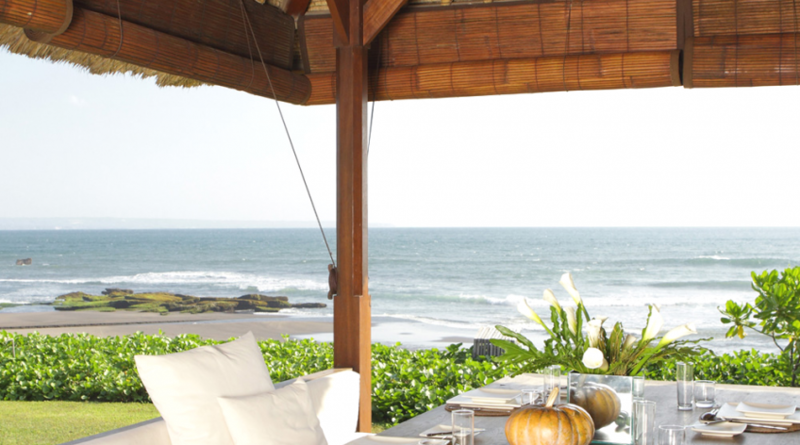 You can’t get closer to the beach than the Pantai Lima villas. Situated on a beautifully maintained, volcanic sand beach, Villa Melissa is a literal stone’s throw from the sea and has many living areas to explore. 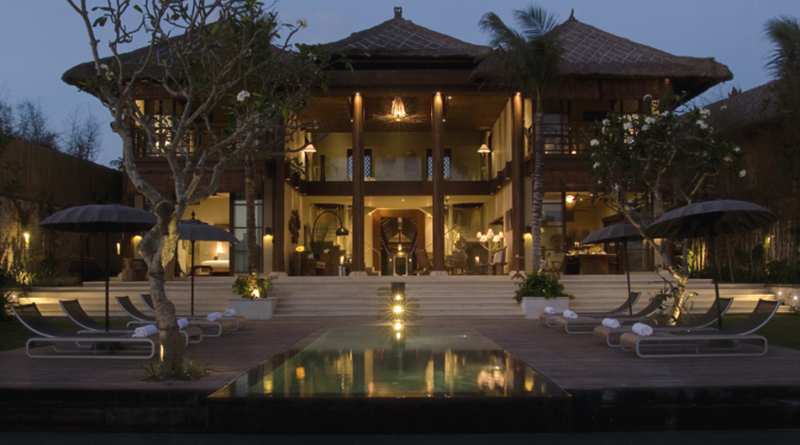 Villa Melissa is quietly nestled facing the Pererenan beach in Canggu on the south west coast of Bali. 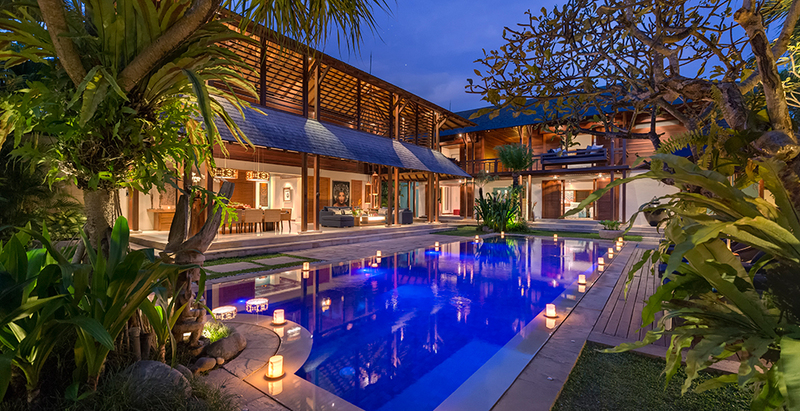 The villa is about 25 minutes away from the action-packed district of Seminyak and about an hour away from the cultural centre of Ubud. The Tanah Lot Temple is only 15 minutes away from the villa. 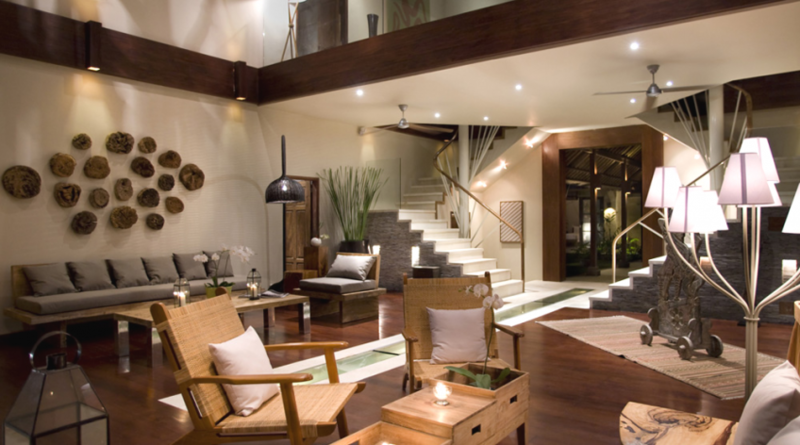 A classy timber floor and soft lighting are the features of the 100 sqm semi-open air living area that directly overlooks the pool and the beach. Cosy sofas, chairs and coffee tables exude plenty of space for relaxation within the living area. 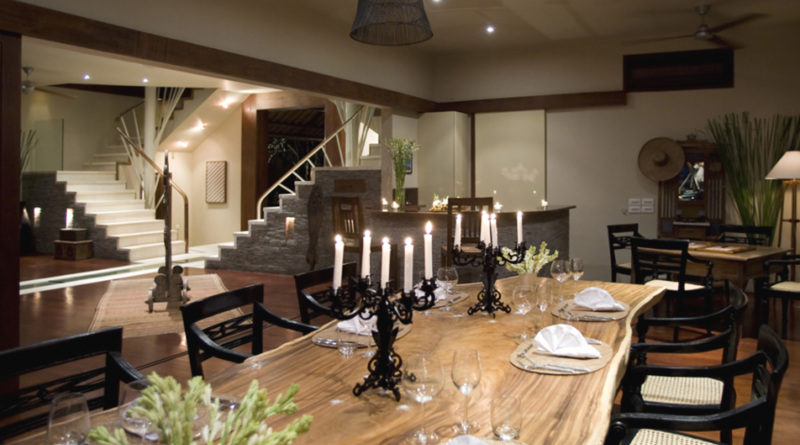 The dining room features a hand-carved 16-seater dining table to enjoy world-class cuisines prepared by your private chef. The dining room is positioned to one side and offers the choice of semi-alfresco or air-conditioned dining. A fully equipped kitchen with stainless steel amenities is positioned to one side of the dining area. An upstairs mezzanine lounge creates the perfect atmosphere for enjoying fine evening cocktails. There is also an outdoor dining pavilion with a table for eight, perfect for those who wish to dine with the crashing sound of waves hitting the shore. For complete family entertainment, a high definition movie projection system is available in a separate media room. You can watch your favourite movies from a wide selection of latest films available at the villa. iPod docks are connected throughout the villa and the garden. Villa Melissa adds its own brilliance to the already existing outdoor features. It has a 20 meter infinity pool and another shallow pool for kids perpendicular to the main pool. Surrounding the pool is a magnificent pool deck that sits cosy sun loungers and a soothing bale. The sun loungers with oversized pillows are perfect to relax with some chilled beer as you watch the sun go down. A soothing bale is nestled right at the edge of the villa where the green lawn meets the white sand beach. 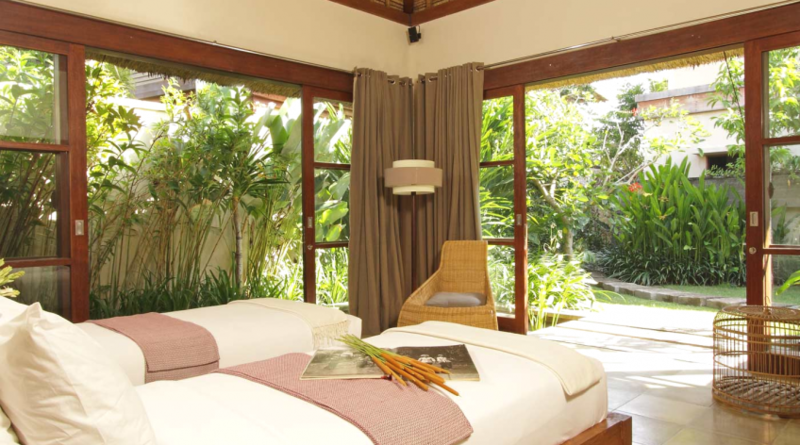 The bale is a perfect place to relax with a book or pamper yourself with a Balinese therapy. As you enter the unique vista, you’ll be greeted by the tranquil incense of the house temple and at once you’ll be embraced by peace and harmony reflecting from this blissful sanctuary. 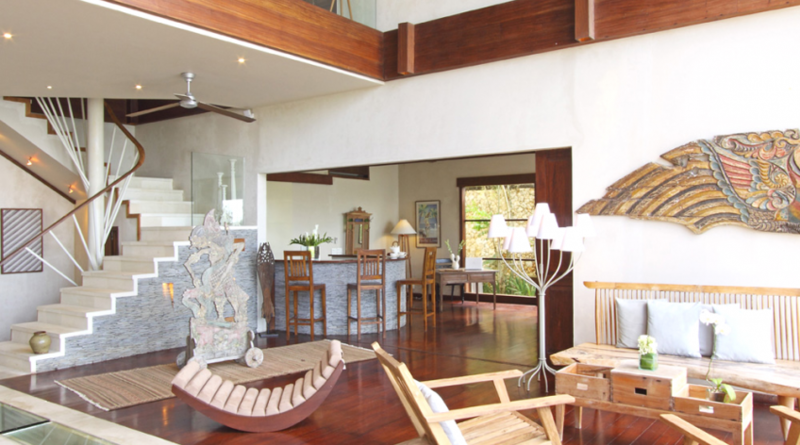 Villa Melissa is an ideal romantic escape offering complete privacy amidst calm, serene surroundings. The central atrium offers uninterrupted ocean views, looking out to 30 metres of pure white sand and sparkling blue water. Villa Melissa has five luxury bedrooms, each unique in style and design and fully equipped with modern day luxuries. All rooms have a 37” LCD TV with satellite channels, a DVD player and Bose sound system. The generously spaced master suite located on the ground floor overlooks the serenity of the pool and the ocean. French doors can be opened to let in fresh breeze, captivating your senses as you watch the beach relaxing on your king size bed. The most indulging bathing experience can be felt at the master suite’s outdoor deep soak bathtub, which is literally sunk into a Koi pond. The tub appears as if it is floating on a water garden under a grass roof. The bathroom has quality fittings including double sinks and a large shower. The two upstairs bedrooms separated by a shared mezzanine lounge offer breathtaking views of the ocean leaving you truly spellbound! Each bedroom has a private terrace for uninterrupted hours of enjoyment, watching gushing waves and stunning sunsets. 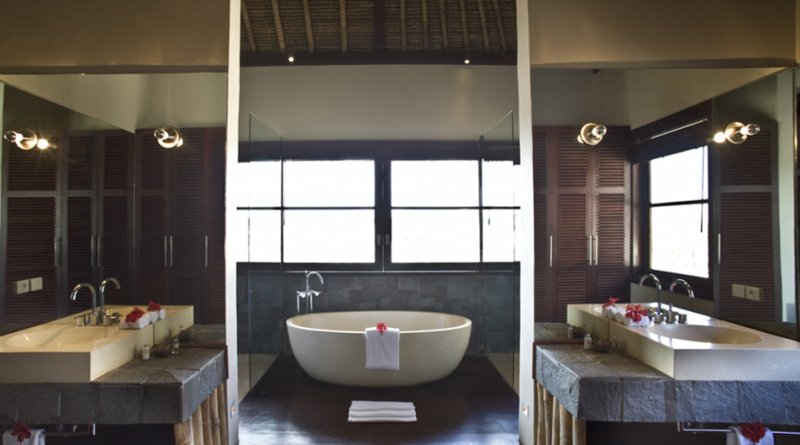 The bedrooms have large king size beds with attached en-suite bathrooms fitted with a large bathtub and double vanity. If you’re looking for a real Balinese stay, then the garden bungalows surrounded by lush greenery and koi ponds surely won’t disappoint! The attached en-suite bathrooms follow the same theme and are equipped with indoor and outdoor showers, twin vanities and a bath. The French doors on the two sides of the bedroom allow fresh breeze and enough sunlight to pour into the goodness of the rooms. 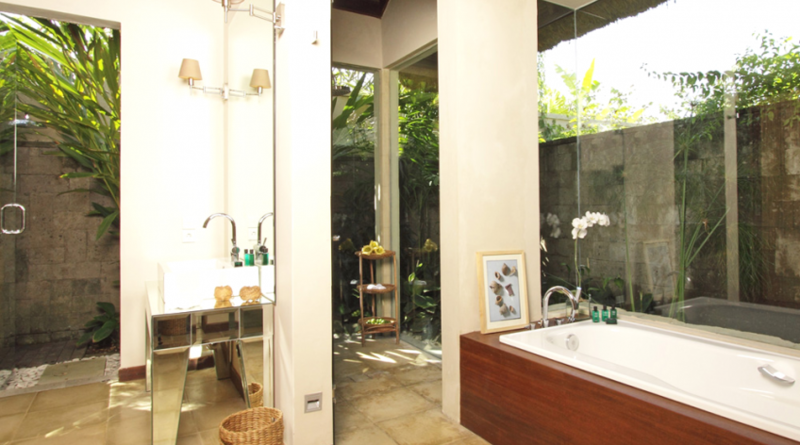 The clever design ensures utmost privacy and seclusion on your Bali holiday. Your stay in Villa Melissa is made enjoyable by the professional staff. Villa’s staff have been professionally trained and will do their utmost to please with their warm and friendly Balinese hospitality. Villa Manager: Villa Melissa’s experienced and knowledgeable manager is responsible for the overall operation of the villa. The villa manager will oversee and coordinate the staff and property and assist you during your stay. Housekeeping: You didn’t think you would be expected to clean while enjoying time off did you? All of our villas include housekeeping to tidy up the villa, arrange the laundry services, wash up and simply make sure you don’t lift a finger whilst on holiday with the family. Butlers: Butlers are on hand everyday to assist with serving during meal times and attend to other guest requirements throughout your stay. Chef: The villa’s skilled private chef will happily prepare anything from the Western, Asian, vegetarian and children’s suggestion menus, as well as discuss special requests and dietary requirements. Villa Melissa has an innovative and rather unusual approach to food and drink. We want you to feel as free in our villa as you would if it was your own. That means that you choose what food, soft drinks, beers, wines and spirits you want to enjoy, you set a budget, you give your butler money to cover your shopping, plus a 15% handling fee. Your butler arranges your purchases at local markets, delicatessens, specialty shops and liquor stores. There’s absolutely no mark-up or premium for the preparation or serving of the food and drink you order. Chauffeur: A chauffeur will provide you with the ultimate experience! A car and driver can be a great way to explore you holiday destination. Villa rates include complimentary 8 hours/day 8-seater Nissan Serena with driver on stand-by for up to eight hours of complimentary guest use (excluding petrol) 6 days per week. Security: It’s nice to know you have security and many villas will have full-time guards or night time security available. There are highly-trained and unobtrusive security guards on duty round the clock. LOCATION Pantai Lima, Pererenan, Canggu, Bali. CAPACITY 10 people (5 bedrooms: 3 x king, 1 x queen, 1 x twin bed). BEDROOMS Bedrooms: 5 air-conditioned double bedrooms with king and queen-sized beds. Each has an ensuite bathroom, with bathtub as well as shower. POOL The main infinity pool measures 20 x 5 metres for a total of 100 square metres. The smaller pool of 40 square metres is great for children. STAFF 3 Butlers, 3 Housekeepers, 3 Chefs, 2 Engineers, 1 Gardener, Security Guards. DINING Western, Asian, vegetarian and children’s menu. Requests accommodated (including special diets). COMMUNICATION Internet: There is unlimited centralised WiFi broadband internet throughout the estate. Every bedroom has an ISD capable telephone. Local and international calls will be charged at cost. Fax facilities are available on request. ENTERTAINMENT All bedrooms have their own 37 inch LCD television screen with satellite TV programming, DVD and Bose sound system. iPod docks throughout the villa are connected to speakers throughout the villa and the garden. There’s a substantial media room with a High Definition movie projection system, plus a library of the latest films on dvd. CHILDREN Babysitters upon request. Baby cot and high chair. SPA In villa treatments selected from a comprehensive spa menu can be carried out by professional beauty therapists (extra cost applies). 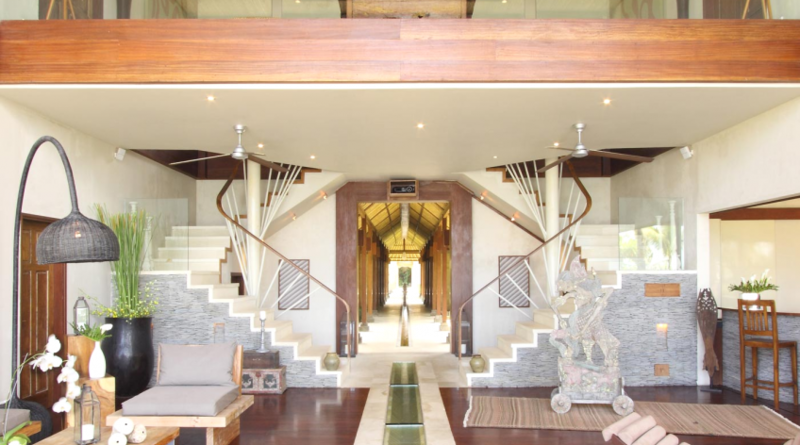 EVENTS The villa is part of the private Pantai Lima estate in Pererenan, a property boasting five holiday homes that can be rented separately or together for weddings, parties, retreats and corporate functions. ADDITIONAL Jacuzzi: The outdoor heated jacuzzi is designed for the enjoyment of up to six adults. Tennis court with night lighting; 250 square metres seminar room; Fitness equipment. BBQ. All rates are quoted in United States Dollars (US$) and subject to 15% tax and service charge. A nightly rental rate is per villa. Canggu proper is a small village on the beach about 20 minutes north of Seminyak, half way to Tanah Lot. Canggu is widely used though to refer to a large coastal stretch of about 8 km, running north from the village of Berawa (just north of Seminyak) to the village of Cemagi (just south of Tanah Lot) taking in “Batu Bolong Beach”, Echo Beach, “”Nelayan Beach””, Pererenan Beach, Selasih Beach, Seseh Beach and Mengening Beach along the way. It is still a largely rural area away from the beaches, but is being developed fast. The coast is undeniably a paradise for eager surfers. Nelayan Beach (Fisherman Beach) is where you can still get fresh fish, lobsters, prawns etc every early morning. Five minutes walk between Berawa Beach and Batu Bolong Beach. The beaches have dark grey or black sand, they do offer some popular and challenging surfing spots. Surfers from all over the world gather to enjoy surf sessions with friends. Canggu also adds another spiritual dimension to surfing as savoring an exquisite sunset from your perch on a surfboard is of common practice. 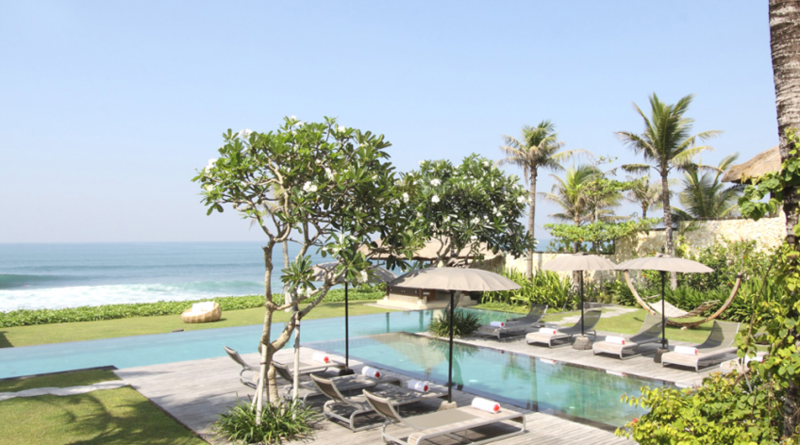 The 3 main beaches around are the Echo Beach, the Canggu Beach and the Brawa Beach. The beaches have dark grey or black sand and are not particularly good for swimming, but do offer some renowned and challenging surfing spots. For non-surfers, it’s a nice sandy spot from where to watch the action. Berawa Beach has a couple of surfer cafes by the pounding sea; the grey volcanic sand here slopes steeply into foaming water. Overlooking it all is the vast estate of fashionista Paul Ropp. Nelayan Beach has a collection of fishing boats and huts marks the very mellow stretch of sand at the Beach that fronts villa-land. Depending on the river levels, it can be an easy walk from here to Prancak and Batu Bolong Beaches. Taxis can be hard to find in this area and most travel tends to be by private car or motorcycle. Consider booking accommodation with a complimentary airport pickup as this is the easiest way to get to Canggu. A cab should cost around 80K from Kuta. 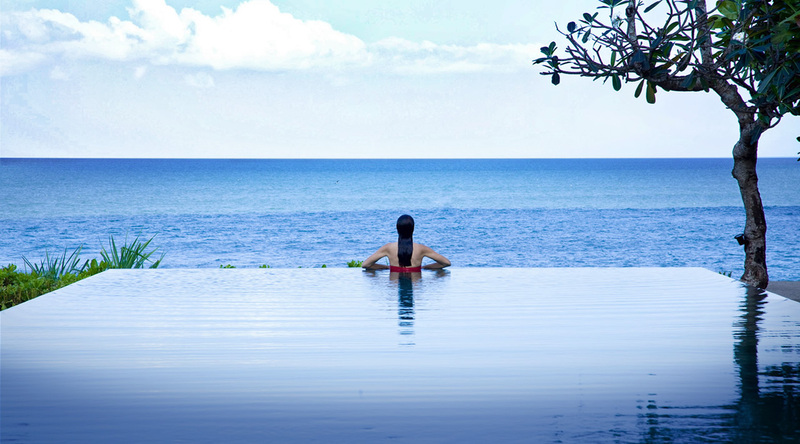 Zoom in and get the best price for your Canggu Hotels & Villas ! 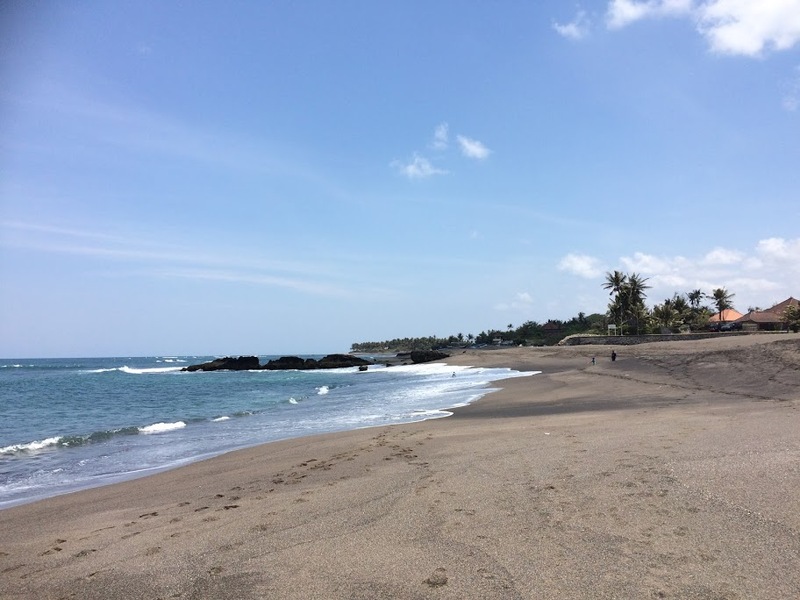 The beach at Batu Bolong is the most popular in the Canggu area. There's almost always a good mix of locals, expats and visitors hanging out in the cafes, surfing the breaks or watching it all from the sand. It's a classic beach scene, with rental umbrellas and loungers available. You can rent surfboards (100,000Rp per day) and take lessons. Overlooking it all is the centuries-old Pura Batumejan complex with a striking pagoda-like temple. Splash Water Park - The park features water slides and activities that will take fun to a whole new level! Located at the ‘New’ Canggu Club, Splash has taken it’s place as Bali’s newest water park and is home to a never before seen range of slides and facilities. Golf: Nirwana Bali Golf Course Nearby in Tanah Lot. Designed by Greg Norman and is consistently voted one of the best golf courses in Asia; it is situated beside the dramatic, waved-lashed sea temple of Tanah Lot just to the north. Spa: Therapy Spa, Jl Pantai Sentosa, Echo Beach, Canggu (Right next to Sea Sentosa in Echo Beach, Canggu), A simple mind, a healthy body, a happy soul. Therapy, an Urban Spa with an extraordinary vibe ushers you to de-stress like never before. A space created for you to escape the roller coasters of life, to unwind the complexities of the mind and to inglude in life's little pleasures. The “New” Canggu Club is Bali’s premier entertainment and sporting venue where everyone is welcome. 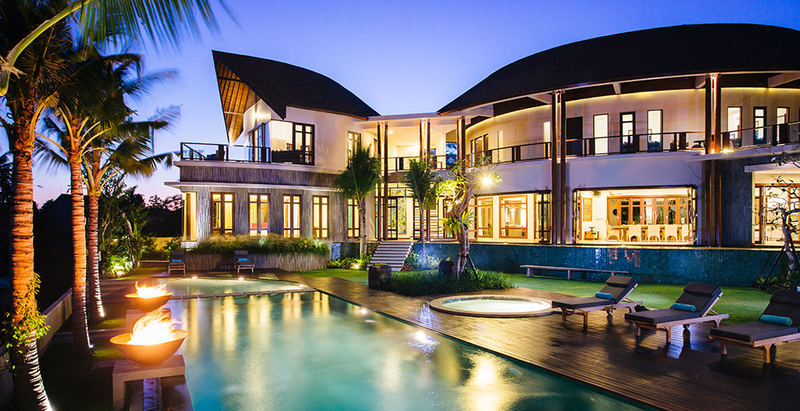 Set on a sprawling 4 hectare estate amongst the rice fields of Canggu and yet only a 10 minute drive to Seminyak. 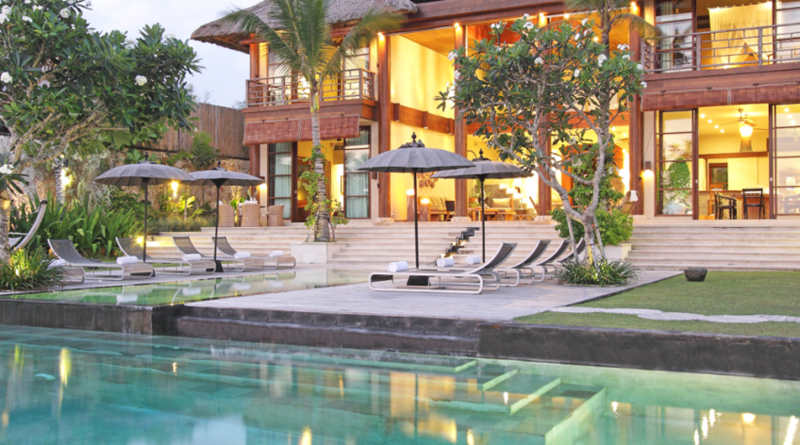 The Canggu Club features a complete Fitness Centre including lap pool and sports ground, Tennis Centre, Body Temple Spa, Sports Bar, Multiple Restaurants plus much more…. Splash Water Park, Bounce Trampoline Centre, Strike Ten Pin Bowling and Cubby House Kids Club are now open! The Canggu Club has “Something for Everyone”. Surf : Canggu is a strip of black sand beach and reef breaks that is known for having something for everyone. Chill on the beach: Find a little place on the beach to watch surfers in the water, waiting for the waves. In the shadows of a parasol at a vendor stand, hold on to your cold bintang and watch the waves break on the big rock. Relaxed surfers vibe. Canggu has plenty of beachside cafes and restaurants. Most beaches have warungs with local and western food in the Rp 40k range. Most places also have wifi (even the cheapest of Warungs). Also many deliver, so call and ask. 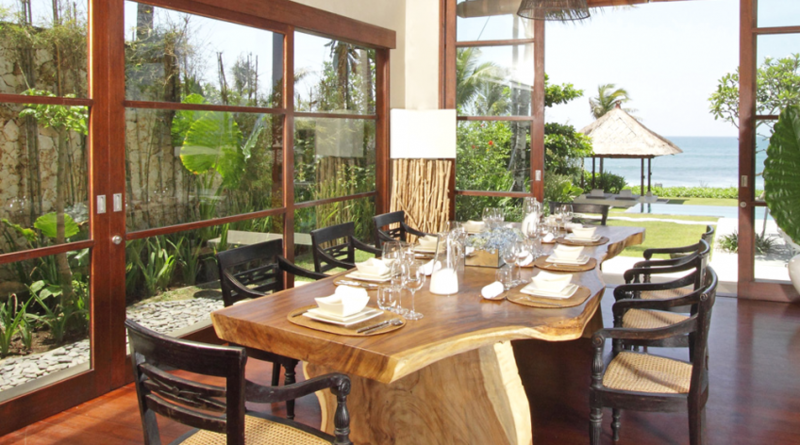 Echo Beach House, Jl Pura Batu Mejan, Echo Beach, Canggu (Sunset road towards Tanah Lot, This delightful restaurant right on Echo Beach is an economical place to have a couple of drinks, a great seafood meal and watch the surfers and then the sunset. Sol Beach Cafe, Jl Pura Batu Mejan, Beachside cafe offering local food plus decent pizzas and burgers. On receipt of the booking inquiry form, we will email and provide you with confirmation of availability, villa rate and 50% of the deposit required. To secure the booking we require your written email confirmation to reserve the villa. We will then send you a pro forma invoice for a 50% non-refundable deposit of the total rental outlay. A 50% non-refundable deposit is required to confirm a booking and must be received within 5 working days after the relevant invoice and payment instructions have been given. Once we receive your deposit we will then send you a confirmation & receipt by email. Change to bookings must be received in writing. Please note that changes to bookings may incur a US$50 administration fee. Notice of cancellation must be received in writing. Cancellation (or No Shows) of a booking may involve the forfeiture of deposit(s) and/or any payments made. Check in time is 3.00 pm on the agreed arrival day. Check out time is 12.00 pm on the agreed departure day. We welcome children under the age of 18 as long as they accompanied by an adult guardian, but cannot assume any responsibility for their safety whilst on the property. Rates do not include baggage handling, gratuities, telephone and fax charges, food, soft drinks and/or liquor and wine, personal items and expenses, and any excessive cleaning or damage reparation required upon departure (including breakages etc). We strongly recommend that the hirer takes out comprehensive travel insurance at the time of booking, to protect the hirer and all those accompanying the hirer for the full time of the hirer and party’s visit against illness, including evacuation, injury, death, loss of baggage and personal items, theft, cancellation and other travel contingencies. 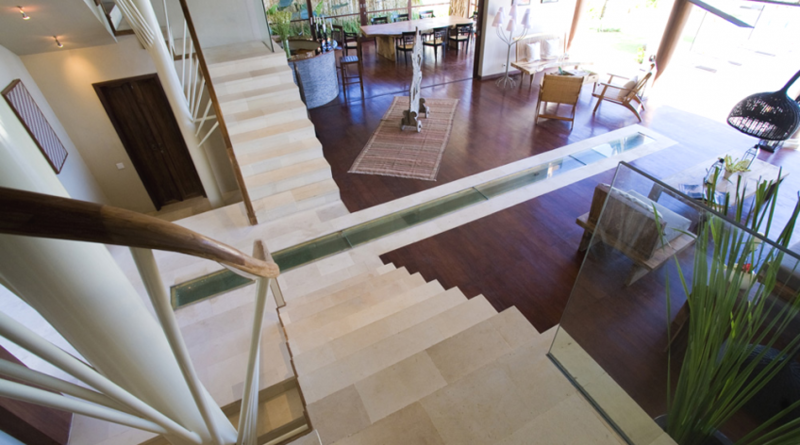 Guests are responsible for looking after the property, leaving it in good order and in a clean condition. Guests also undertake to pay for damages, breakages or losses during the period of stay. We reserves the right to reclaim the hired property if the hirer, members of the guest party or guest visitors cause excessive damage or mess. A refundable deposit for sum of USD500 on check-in is required to cover the cost of any damages that may occur during your stay. The money will be refunded in full amount on last day of stay if no damage is incurred. A “Waiver of Liability “form will be provided for all guests to sign upon arrival. The owners cannot accept any liability for any loss, expense, damage, claim or injury either directly or indirectly, consequential or otherwise whatsoever, however caused or incurred, whether arising in contract or otherwise in law or equity as a result of rendering of the services or accommodations as described or substituted, or by reason of terrorist or military action, riots, revolution, insurgency, civil war, adverse government action or inaction or acts of God, or by any agents, employees, subcontractors, servants or third parties whatsoever supplying any of the services or accommodations herein or as substituted.